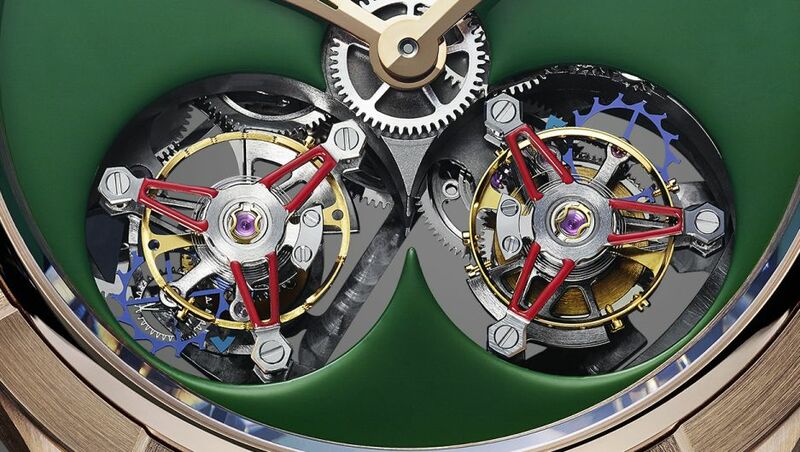 A double tourbillon flying at two speeds, the left cage makes a complete rotation in only 6 seconds, while the right one rotates ten times more slowly (1 minute). The case, in 18kt rose gold, measures 45mm x 11.8mm. It has double sapphire crystals and it is water resistant to 30 meters. Movement is the Swiss automatic Manufacture Royales in-house caliber MR04 with 26 jewels, 21,600 vph and 28,800 vph, and a power reserve of 40 hours. Double flying tourbillon with escapement wheel and silicon anchor - Left tourbillon: one rotation/6 seconds, titanium cage, brass flying balance, Right tourbillon: one rotation/60 seconds, titanium cage, brass flying balance. 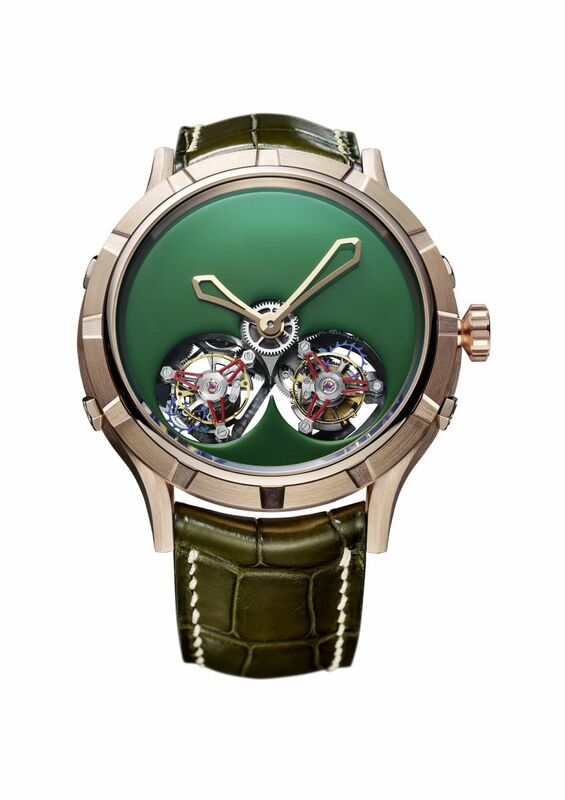 It has a Khaki green lacquered dial adorned with handpainted red tourbillon cages. Gold hands. It comes on a hand-sewn alligator leather strap with an 18kt rose gold folding buckle.